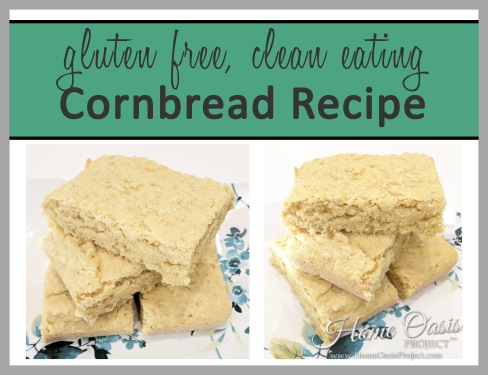 If you love cornbread, then this recipe is for you! It’s one of my family’s favorite recipes and it’s gluten free. 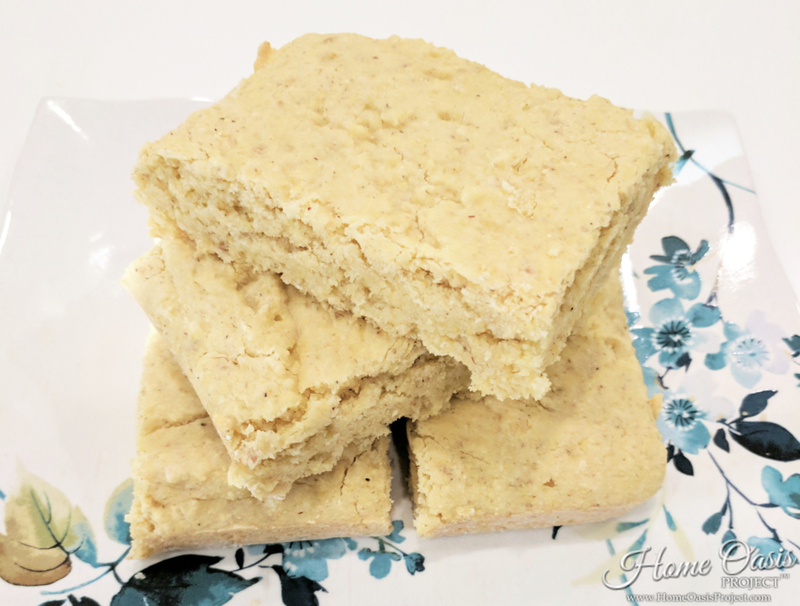 The ingredients are simple and I always have them on hand so I can whip up a delicious batch of this gluten free cornbread any time. v If you aren’t gluten free: you can use regular all purpose flour. v Instead of using water, you can use 2% milk if you tolerate it. v The chia egg can be substituted for a regular egg. 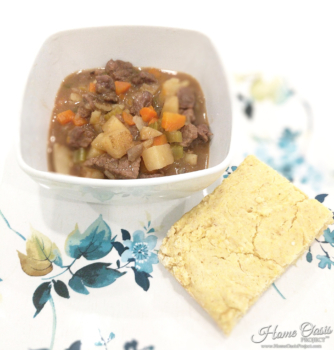 Try out Gluten Free Cornbread with our Instant Pot Beef Stew recipe. It’s absolutely delicious together! Preheat the oven to 400° Fahrenheit. In a large bowl, add the dry ingredients. Then add the milk, chia egg, and melted butter. Stir until well combined. Pour the batter into a well-greased 8" square pan. Bake for 20-25 minutes until golden brown.